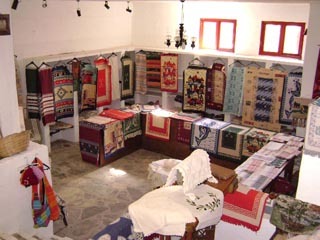 The visitor who is interested in folklore and would like to see in practice the artistic activity which has been kept unchanged today in embroidery, weaving, ceramics, hagiography and pottery should not miss the unique traditional village of Arolithos. 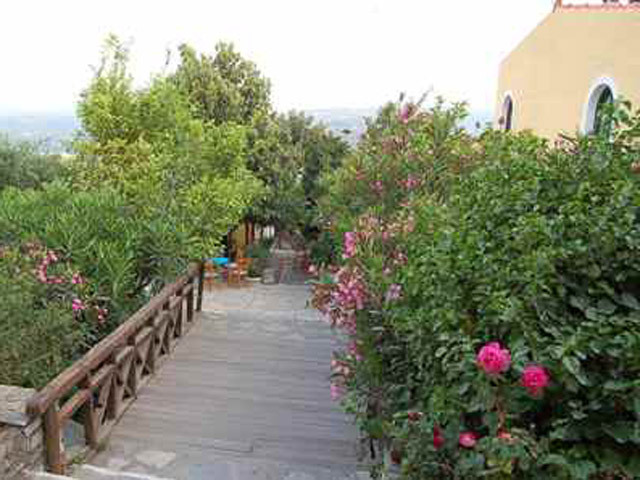 In a typical Cretan area in the middle of the mountains, surrounded by trees, rocks and sky lies the beautiful Traditional Cretan style Village of Arolithos. 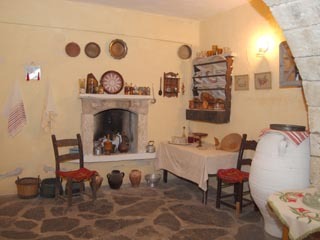 This Village is like stepping into the past but with the comforts of the present. 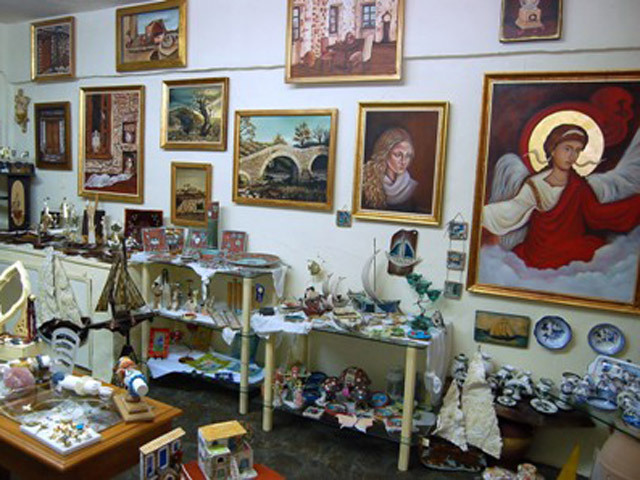 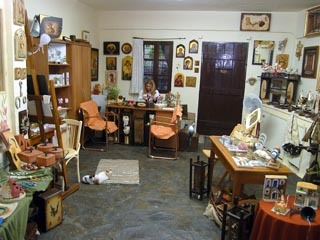 It's whole atmosphere is unique, small winding roads, 11 Shops of Cretan technicians and artisans, whilst working in their environment, Traditional Cretan Houses so you can get a taste of the life in Crete, Traditional Cretan Restaurants with big square outside, Cretan Kafenio, a Greek Orthodox Church in Cretan style and Museum. 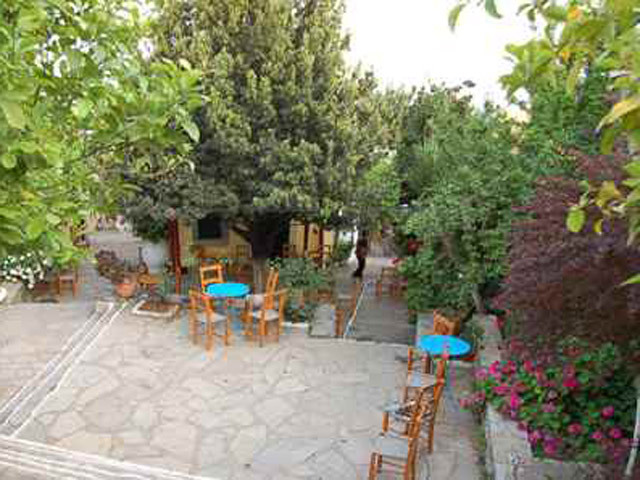 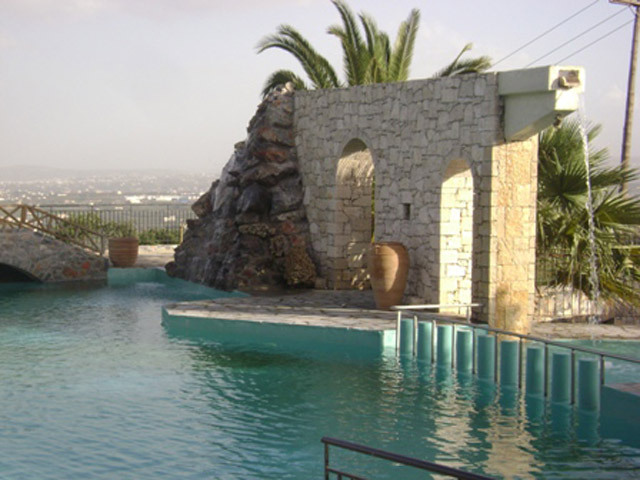 Arolithos Hotel is a private property and is owned by the family of Mr. Saloustros. 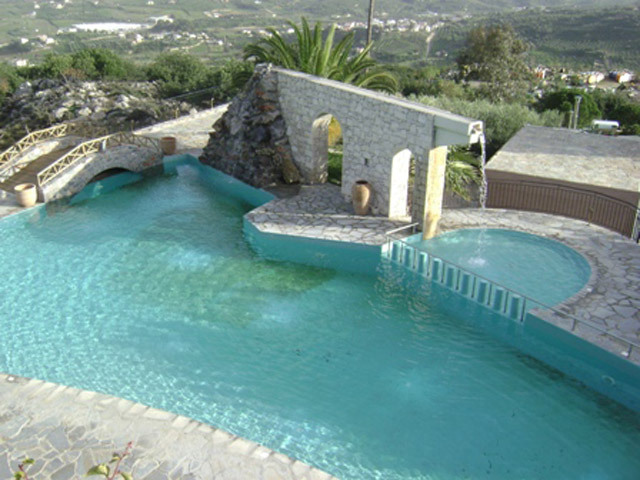 He was born in Anogia, the most famous village in Crete. 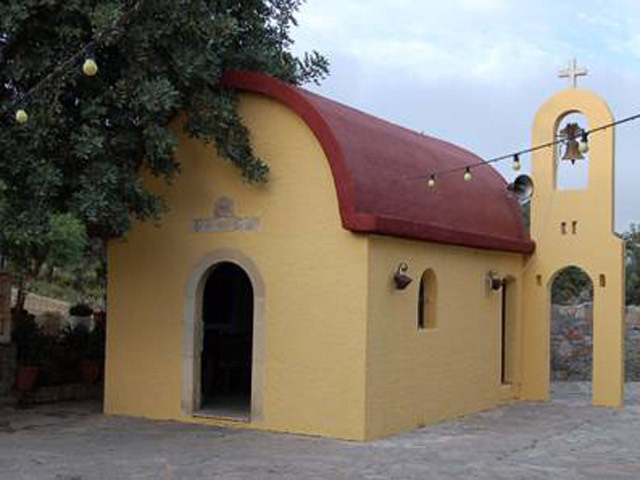 He was very proud of his nationality so that he decided to do something special in order to promote his village and the tradition of Crete. 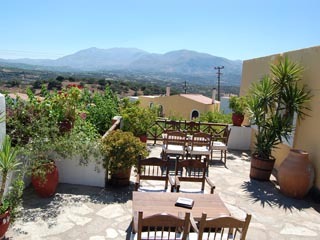 It is unique in Crete and in whole Greece. 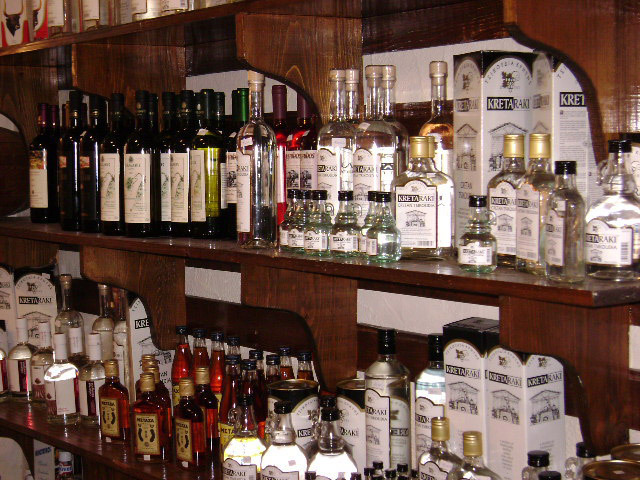 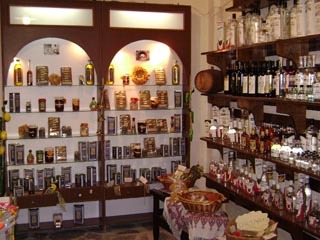 Its aim is to show and promote the Tradition of Crete to all over the world. 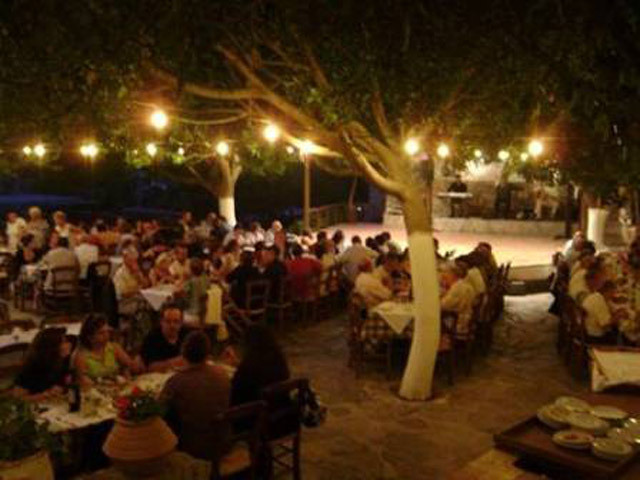 Lots of people visit Arolithos every year and feel that they move to another world far away of their common life and realize how different their life is from their ancestors ones. 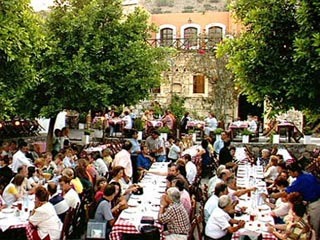 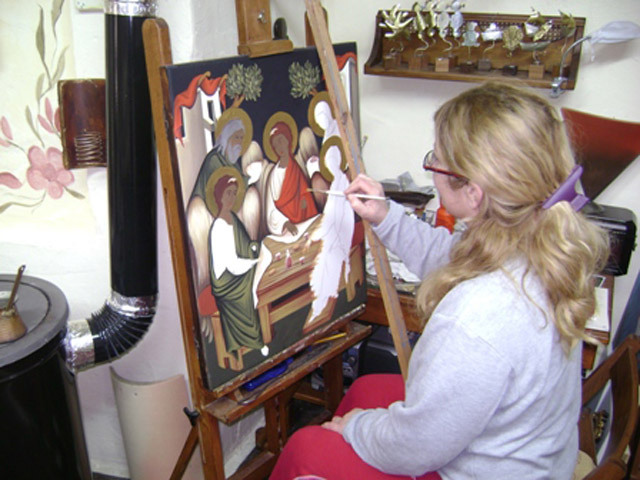 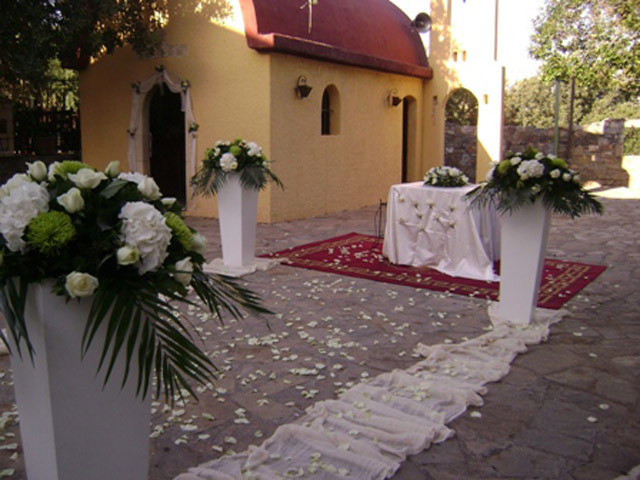 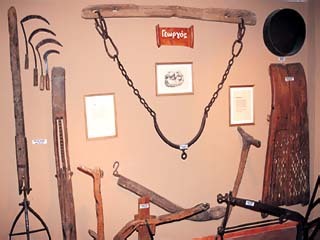 The Village of Arolithos gathers and maintains the Traditional and Folklore Elements of Crete! 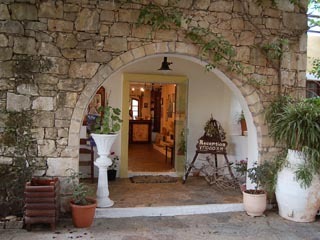 The hotel was built at the form of a cretan village. 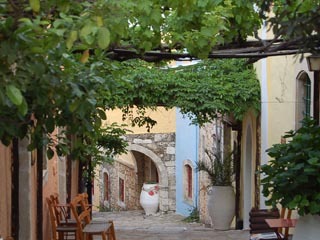 It is not a real village with permanent residents. 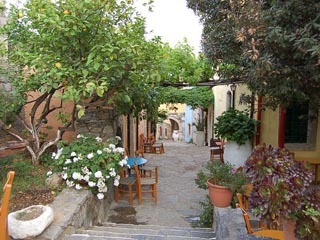 It is called ‘’village’’ because it looks like that. 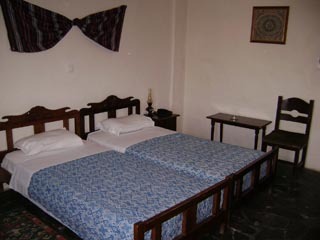 The rooms of the hotel are not situated at a main building. 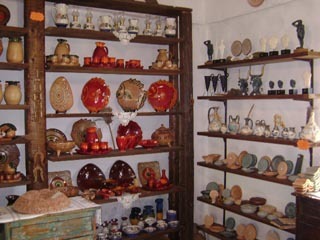 They are situated all around the village at the form of small neighborhoods. 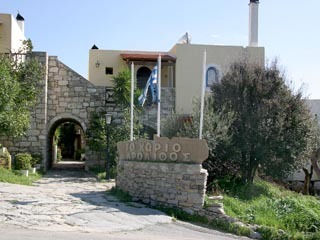 Arolithos has been built on the hillside of a hill which means that we have many stairs to go up and down. 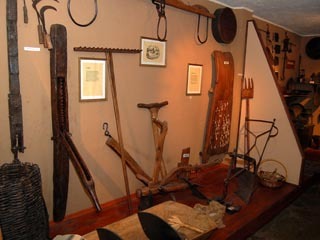 Suggestions of excursions and activities. 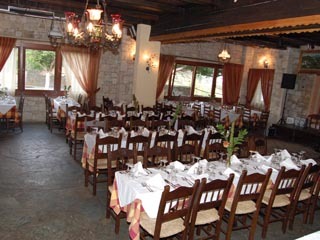 At the restaurant we organize traditional cretan evenings and during the weekends are organized social activities (such as wedding parties). 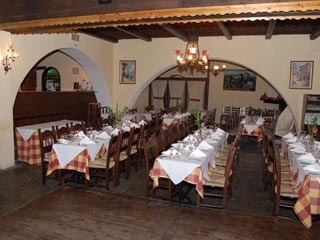 During Summer time the restaurant serves the dinner outside at the big square of the village (open-air) and during winter it serves in the main building. 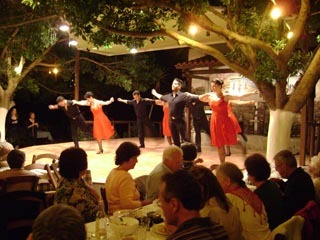 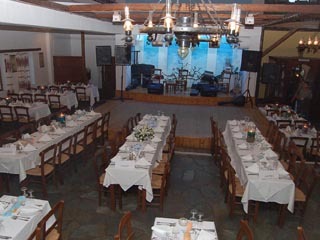 Additionally we organize many social events such as marriages and wedding at the open air restaurant. 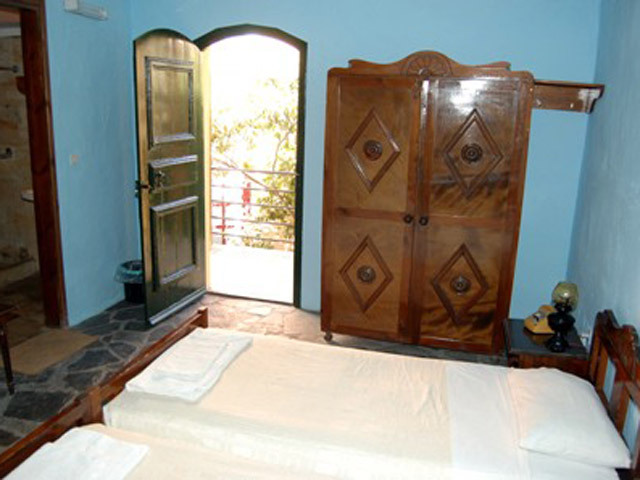 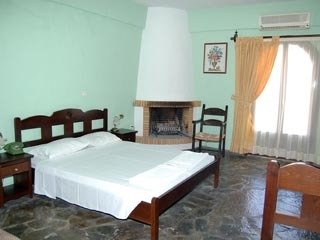 Arolithos Traditional Cretan Village consists of 36 Rooms ( Singles, Doubles & Triples ) with a total capacity of 85 Beds. 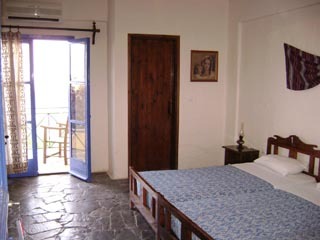 Most of the rooms have balconies with a lovely mountain-garden and city view. 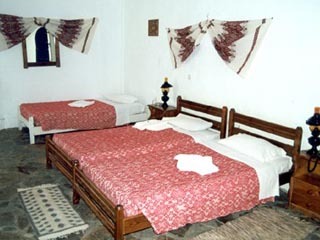 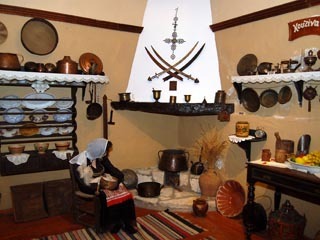 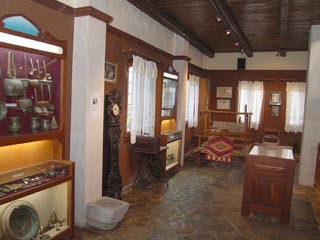 All the Rooms have been built following a traditional way, which may not be luxurious but they offer traditional holidays. 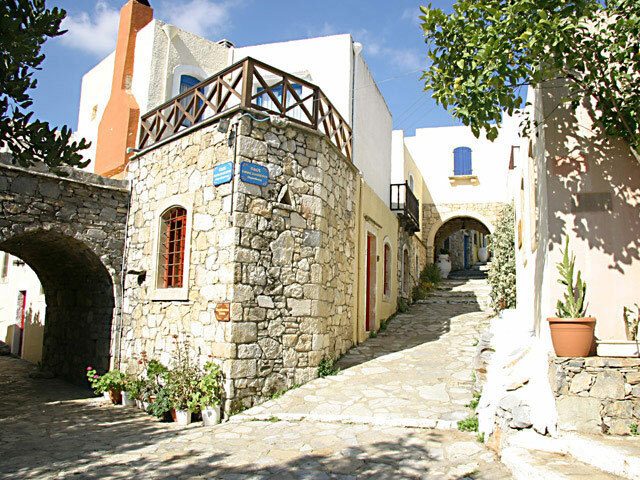 Arolithos is a small, charming picturesque Village, 11 kilometres away from Heraklion, along the old national road connecting Heraklion with Rethymnon. 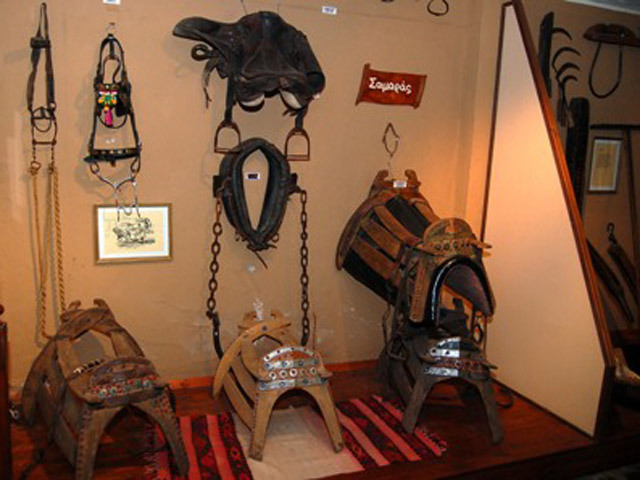 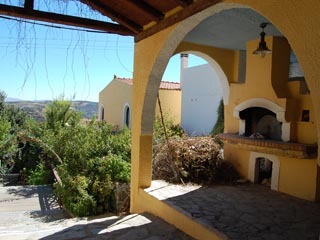 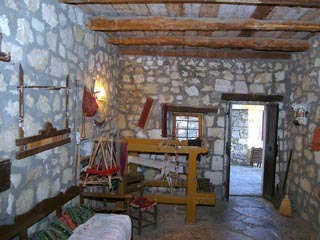 It is situated after the village of Gazi and before the village of Tylissos. 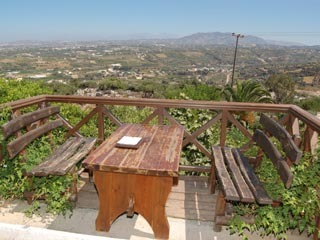 Built on the slope of a mountain, in the wild Cretan landscape, the village is a beauty on the map of the Cretan nature! 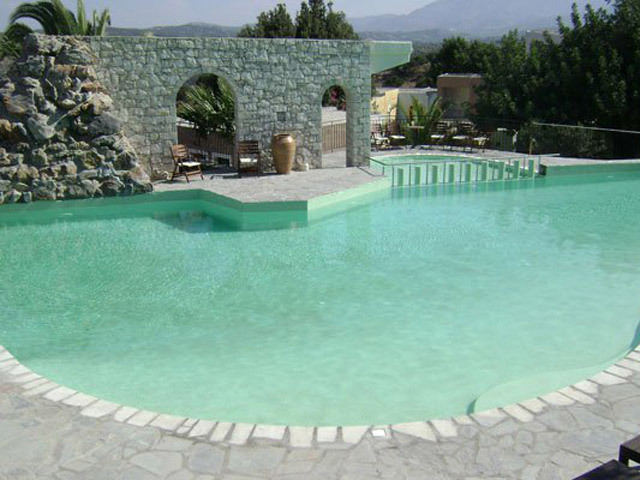 Early Booking for 2019 up to 30% Reduction !! 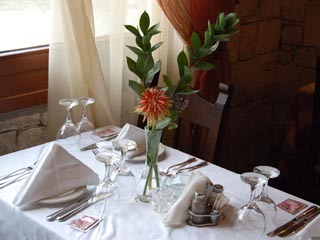 LImited Time !! 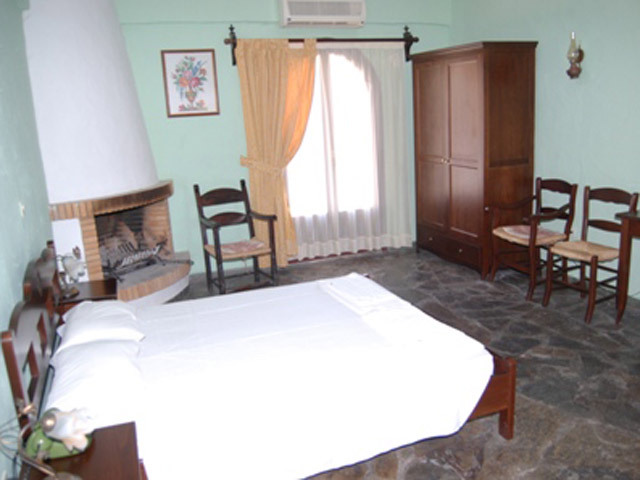 Book Early and Save up to 30% !! 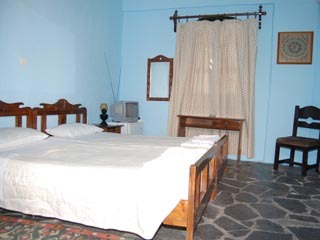 Free Cancellation !! 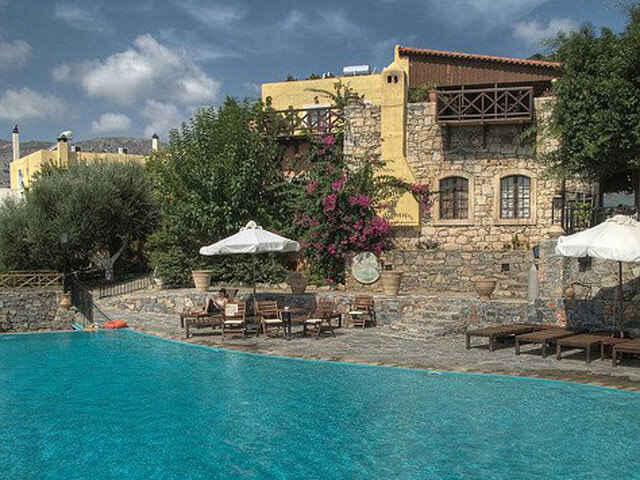 The offer is valid for the stay : 01.04.19 - 30.04.19 !! 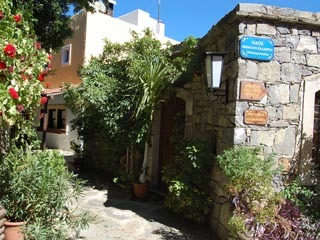 Open All Year... Arolithos Traditional Cretan Village is a private property and is owned by the family of Mr. Saloustros. 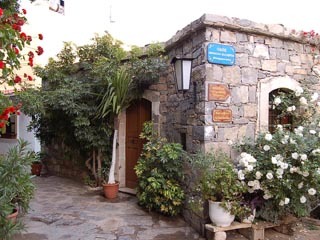 He was born in Anogia, the most famous village in Crete.